[…] Another comparison between Xi and Winnie during a military parade in 2015 became that year’s most censored image, according to Global Risk Insights. The firm said the Chinese government viewed the meme as “a serious effort to undermine the dignity of the presidential office and Xi himself”. In June, after John Oliver roasted Xi’s policies in his HBO series “Last Week Tonight”—highlighting the ongoing censorship of sensitive Pooh memes: “Clamping down on Winnie-the-Pooh comparisons doesn’t exactly project strength. It suggests a weird insecurity”—his name and that of his show were censored in China. Badiucao has previously featured Xi’s hatred for Winnie-the-Pooh in his work. But to what extent are these allegations [of a nationwide banning of Winnie] true? There seem to be some misconceptions in many media about the scope of censorship on Winnie, and the release of non-Chinese films in mainland China. 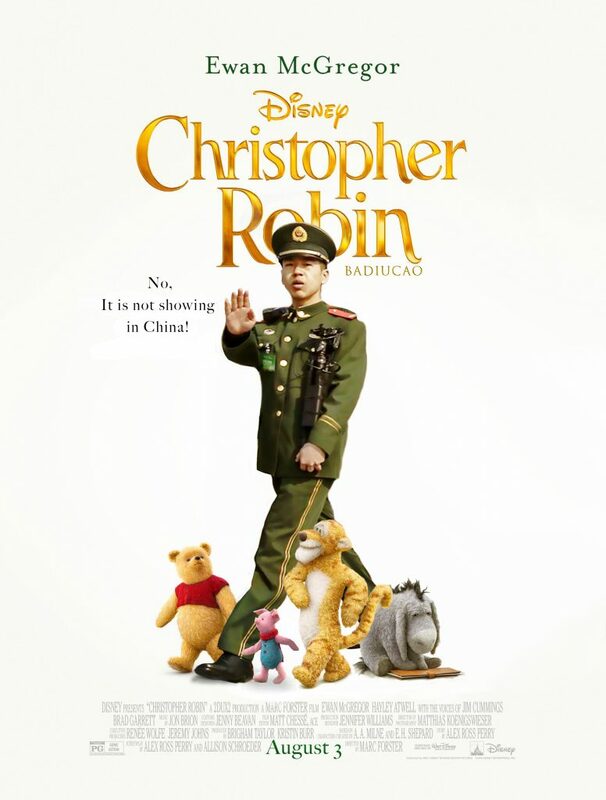 […] Winnie the Pooh is not banned from China, neither online nor offline. The bear is quite popular, just as in many other countries, and people walk around wearing Pooh t-shirts and accessories in Chinese cities every day. A current search on Chinese search engine Baidu for ‘Winnie the Pooh’ (“小熊维尼”) generates 8.5 million results. Taobao sells countless Winnie items on its e-commerce platform, and on social media site Weibo, thousands of Chinese netizens post photos of their Winnie-themed merchandise or favorite characters.